Genomics, genome, DNA… words we are hearing more and more often. Although the science of genomics was only discovered in 1950s, it is now widely used in many industries and we are talking about it more and more in our daily life. It follows that DNA was one of the most used pictures in 2018, mostly linked to innovation and science. I attended the Festival of Genomics in London on 23rd January, which gave me further insights in to the changes being seen in this fast-paced field of science. 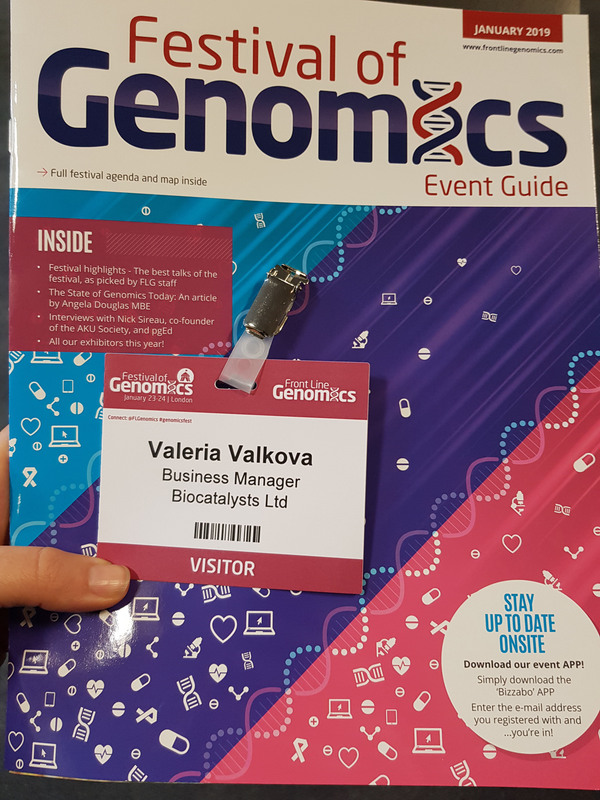 Companies such as Illumina, Oxford Nanopore, Qiagen, Agilent and PerkinElmer were at the show presenting their innovation kits, sequencing equipment and solutions to enable faster and more accurate data essential for development in the areas of novel medicine and diagnostics. Companies such as GSK and Roche are joining forces with government organizations to use the power of genomics. The UK government has a plan to collect 5 million sequences over the next 5 years. Where relevant, patients will be asked to give consent for their genome data to be securely analysed by approved researchers, who will develop new tests and treatments for cancer and rare diseases. Genomics England’s 100,000 Genomes Project has already successfully sequenced 100,00 whole genomes with the number rising every month – click here to see the numbers behind the project. The benefits of sequencing are well known, but there are always challenges. Often the data generated is too much, the analysis is complicated and of course the price is high for day to day use. Due to this, companies are developing faster and cheaper platforms and more robust kits for sample preparation. This is where I see the biggest challenges for the life science leaders. And although the science behind it is very complicated, there is a need for cost competitive kits, enzymes and platforms to fully benefit from having access to the vast amount of genomics data available for a better life.